South Dakota's prairie potholes and fields deliver ducks. The morning cold needled me to the bone, for it was autumn's first chill and my body had yet to regulate. When I left home in South Carolina with gunning companion Joe Jackson, we were in shorts and short-sleeved shirts. Now we were bundled to the neck in a South Dakota cornfield, blending our layout blinds with corn stubble while guide Sean Hammock put out field decoys. A heavy frost shimmered under a nearly full mid-October moon. Small potholes dot the prairie landscape in the Dakotas. Ducks nest on the potholes, but also use them as loafing areas in the fall. We were staying at the 2,000-acre Prairie Sky Guest and Game Ranch owned by Bruce Prins close to the small town of Veblen, S.D., in the northeast part of the state. The ranch is studded with ponds and cattail marshes -- incubators for many species of waterfowl.My prime directive was to hunt waterfowl and sharp-tailed grouse -- a bird I had never hunted. A bird I knew nothing about. A complete mystery to me. The duck forecast was the best in several years for South Dakota. Spring rains and the Conservation Reserve Program are a matched pair, and their offspring is ducks. The sharptail population was the highest it had been in five years -- another direct result from the highly successful CRP program. Our afternoons would be spent gunning for sharptails with guide Phillip Mertens.Sage, Hammock's 6-year-old Black Lab, rambled in the still-dark field. Soon, Sage would burrow beside Hammock in his layout blind to await the first retrieve of the morning. Warm feathers. Soft flesh. A Lab's desire. A Lab's DNA. As the blinds were woven with the final corn stalks, ducks -- mallards -- winged over on narrow, feathered wings. Hammock kenneled Sage and left to move the truck. When he returned, Hammock turned on the mallard drake spinner decoy and climbed in with his Lab. The pre-dawn morning was still with its dimness. Three times, flocks of more than 100 mallards swept into the decoys. Silhouettes in the blackness. Dark feathered knots. Newly minted ducks down from Canada. Drakes conversed with soprano tongues to the profound-throated matriarchal mallard hens. Shooting time was minutes away. We had agreed to shoot only the pageantry-dressed drakes. Greenheads. No hens. Sage, a hard-working companion, retrieves a fat drake during a sunny afternoon hunt. I glanced to my left at Hammock's blind. The Lab's face protruded, watching the horizon. To my right, Jackson was smiling. Hammock goes by "Big Sean," for he is round in girth and tall as timber with powerful lungs. He possesses much waterfowling knowledge at age 25. Although Hammock is a superb duck caller, he became a competition goose caller by entering his first calling contest at age 18. He placed 34th in a field of 35 callers. But now, he has won 50 championships, with more than 100 top-five finishes. He is a two-time World Open Goose Calling Championships and two-time Canadian-American International Champion. The ducks that swirled about us and lit in the cornfield before light became agitated and jumped. But there would be more -- many more -- arriving to feed in the newly harvested field, looking for yellow kernels of carbohydrates. Natural fuel.The sun topped the eastern horizon to burn away morning's dusky light, bringing with it the metallic noise of shells being fed into shotgun magazines and the finality of bolts slamming shells into chambers. The first mallard, a drake, came from the shadows, landing not 20 yards from Jackson's blind. He opened the blind's panels and sat up, flushing the grounded bird. The drake, with its shimmering sateen green head and chestnut breast, made it to the 25-yard line when Jackson's 12 gauge boomed once. Hot steel raced from the cold barrel, collapsing the bird's wings. Engine disabled. All systems down. Sage scrambled from the blind with moist nostrils pumping and ran into his glory. His design in perfect condition. Pleasure in his mouth. Cut corn provides excellent cover to easily camouflage layout blinds. Better still, ducks and geese seem to appreciate the harvest, too. Many birds were about the rinsed blue sky. It was for sure a traffic jam, for morning's ebb tide had given way to a feather flow. This was the season of ducks. Without them, it would be a day without the sun and our waterfowling souls would mold and decay in a black hole. The season of autumn's harvest was upon us -- a gathering of waterfowl. Hammock played sweet and fruitful music on his duck call. From on high, flocks locked on curved wings, maneuvering the air currents, wind slipping over and beneath their outlines. Feathered music. Within moments, we had grounded seven greenheads, just three away from our two-man limit of 10 mallards. Hammock coaxed in the last birds of the morning. A flock of 10. Six hen mallards lit inches behind Jackson's blind. Three drakes and a hen were on the backside of the decoying birds. Two prime greenheads slumped as scorching steel wrecked their transmissions. I was fast to swing onto the last fleeing drake, but as I pulled the trigger, a hen flew into the pattern, rolling her into a soft orb. Remorse always grips me when I kill a hen. We broke camp and returned to the lodge for lunch and to hunt sharptails in the late afternoon. I learned these birds come out to feed at about 4 p.m. until dark. It would not take me long to learn sharptails are survivors. shotgun range or even hundreds of yards away. "Sharptails seem to survive midwestern blizzard conditions better than pheasants," said Will Morlock, regional program game manager for South Dakota Fish and Parks. "Pheasants are very susceptible to storms, especially longer-duration storms of three to five days of strong winds and high snow." Sharptails are birds of the brush and grasslands, thriving on a variety of food. They feed on waste grain, but are not wholly dependent upon tilled crops. They eat sorghum, wheat and soybeans, but favor native plants that produce berries or seeds such as buffalo berry, rose hip and chokeberry. Insects, grasshoppers in particular, are a primary food until a major freeze kills them. We met Mertens after lunch. He's 25, slight of build and does not have the accolades of Hammock, but has no less heart. Hard work is a must in the rural Midwest, and it gives men character and endurance such as Mertens possesses. He is a quiet young man whose face is etched with determination. He has taken lumps on the rodeo circuit as a bull rider, but always remounts the back of another raging bull. Pheasant shooting on the ranch is mostly release birds. 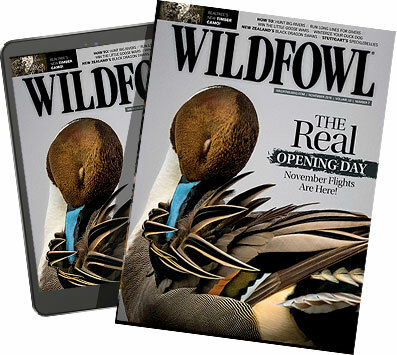 The wild birds are shot during the first two weeks of the season. Mertens hunts pheasants for visiting hunters with two German short-haired pointers. "We don't get many people who want to go after the sharptails," he said. "You're going to get your limit of pheasants, but these grouse are different. It is outright hard hunting. Maybe you'll get a shot and maybe you won't. They are extremely smart birds and you can count yourself lucky if you get one. Hunting mallards in cut corn is a treat, especially when several flocks fall for the decoy spread. "Might sound crazy, but as hard as these birds are to hunt, it doesn't take but a single pellet to knock one down. But you've got to get on them fast." We had been walking for more than an hour at a steady pace, cresting one hill after another and had not seen nor flushed a grouse. We continued on, maintaining our character. Our trek brought us to a small, abandoned wooden prairie house, now in shambles. I thought about the men and women who lived on the lonely prairie through horrible winters. And what of the first settlers who arrived in mule-drawn wagons to this rolling hill country to find it cluttered with the endless herds of shaggy-haired buffalos? We hunted back to the truck, and then made a short run to where Mertens had earlier seen grouse. With his young, far-seeing eyes, he showed us three sharptails in the middle of a cut soybean field. "Maybe there are some in the bottom we could flush," he said, as he put down a fresh dog. Both shorthairs were 2 years old, and had mostly worked only pheasants. Sharptails, they would learn, were a bit different than winding and finding dependable released pheasants. We began our push through the bottom and jumped a sharptail at about 50 yards. Jackson got off two shots, but did not fluff a feather. We watched the first sharptail either of us had ever seen sail beyond what seemed to be the curve of the Earth. We continued on and flushed another grouse. Jackson "puffed" the bird. A bird in hand. We hunted on to near dark without any more flushes or shots. The alarm clock sounded at 5 a.m. At 6:15 a.m., we left the ranch with Hammock to hunt a cattail pond where he had discovered a mix of mallards, wigeon and gadwalls the previous afternoon. There would be no frost this morning, for the wind carried such force that it caused small craft warnings on lakes. The smallest of potholes rippled with whitecaps. Hammock set the decoys and we waded into the cattails for cover. The newborn light fingered the land, touching the hills and then gently falling onto the marsh while Hammock worked his duck call. In twos and threes they came to the decoys, seeking relief from the wind. The first to splash were wigeon. Hammock worked in a Canada goose, which lit on the outside edge of the decoys and drifted across the pond out of range and remained until we again shot ducks. Gadwalls and more wigeon. The last three birds were mallard drakes. Our limit was again filled on our second day of our three-day duck hunt. The wind was more contemptible in the afternoon than on the early morning duck marsh, and beat us relentlessly as we mounted the prairie hills and forced marched through the bottoms hoping to raise feathers. The afternoon went without shot. We flushed a dozen or so birds at our eyesight's termination. I had yet to pull the trigger at a sharptail, and only one afternoon remained to hunt these slippery birds. Pheasant hunters had filled limits, and they were bathed and dressed for supper when we trudged in, worn to the marrow. I wanted wild. The wildest of instinct. I did not travel by car for almost three days to hunt anything less than the undomesticated. Sharptail hunting is hunting in its purist form. Stamina is the key to chasing sharptails. Mertens wasn't going to let his legs of youth yield to the legs of age. He would stick to his task. Early morning's sleep had not been rubbed from our eyes when Hammock entered the ranch to take us for our final duck hunt. No wind. Not so much as a whisper. Hammock had found a respectable number of mallards in a rain-flooded stand of timber where the prior day's hard blow had herded them. Here we hoped to have our last great shoot -- to limit out for the third time. Not today. The birds had changed course and were landing in the marsh about 200 yards from the timber. The morning continued to erode as the temperature rose. By noon, it was in the 60s. "I'm not going to get skunked!" Hammock said, snatching decoys from the water. "We're going to wade into the marsh." We hid as best we could. Bird movement was all but nil by the time we made the change. Hammock's incessant championship calling. The skunk did not get him. He would not return to the ranch a black cat. Late that afternoon, we went out for our last round with the sharptails. Near the end of the day, we found and flushed perhaps 50 birds. Most were out of range. But shoot we did, for we had nothing to lose and all to gain. Jackson got two, and as night was about to shutter day, I rolled my first and only sharptail. The prime directive had been accomplished: Wings over Prairie Sky Ranch. Prairie Sky Ranch offers waterfowl and upland hunts, including released pheasants. Beretta shotguns are available for loan at the ranch, and shotshells are available for purchase in the gift shop. American Western cuisine is featured on the ranch menu and meals are served in man-sized portions. The Bison, or buffalo, barbeque ribs are the best I've ever eaten. If you've never traveled through the American West, I would suggest you rent a car and travel in South Dakota, a very rural state with a population of only 770,883. Although there is much to see in this state, the best-known site is the Mount Rushmore National Memorial -- the 60-foot-high granite images of Presidents' George Washington, Thomas Jefferson, Abraham Lincoln and Theodore Roosevelt carved in the side of a mountain. The memorial attracts two million visitors each year. For more information, contact Prairie Sky Guest and Game Ranch, 109th St., Veblen, SD 57270, phone (605) 738-241l or on the Web at www.prairieskyranch.com.